Precision Grade Bipods with Notched Locking Legs. Bipods attaches to virtually any Sling Swivel Studded or Weaver Style Railed Firearm. Aircraft Grade Aluminum and Steel Construction. 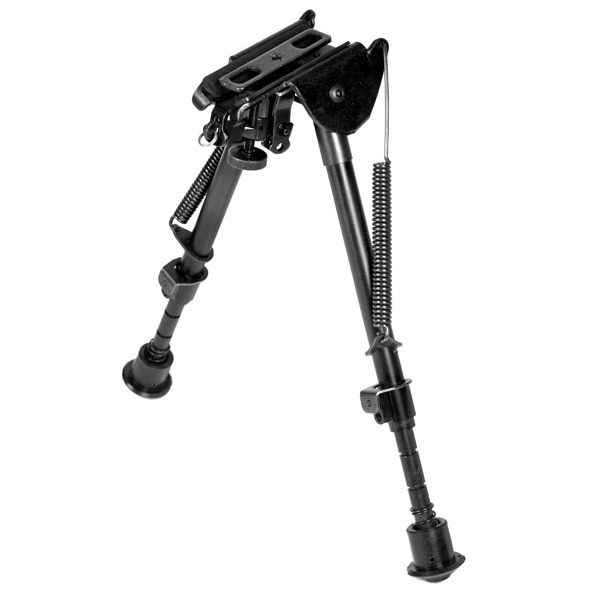 Spring Loaded Folding Action give the bipod legs maximum tension in any position. Spring Loaded legs also Extend Legs With the Push of a Button. Adjustable Height of 7 to 11 inches.